Gaming is a social activity. So many titles encourage you to get online with both friends and strangers and face off. It’s a bonding experience. But there’s nothing worse than heading into a Rocket League, Street Fighter V, Call of Duty, or Overwatch match, all the while worrying about your network latency and general internet performance. You want to be able to turn on your console or computer, hop into your game, and know that whatever technology you have is working for you. Which is why Kasda’s KA1900 11AC 1900M dual-band wireless router could have your back. This router is designed to offer the sort of performance you expect from a Netgear device, only at a friendlier price. 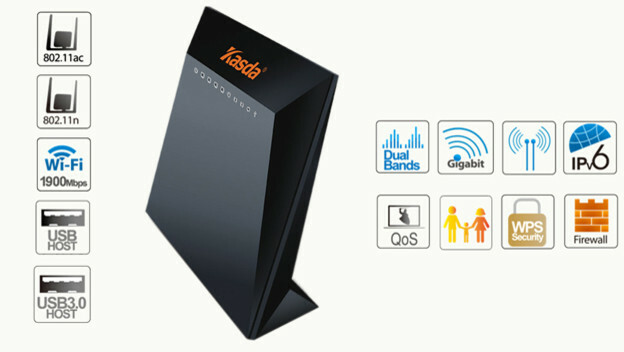 The Kasda 11AC 1900M router is basically a Broadcom chipset, dual-band wireless router. As the name suggests, it uses 11AC technology. It has Wi-Fi speeds of 1,300Mbps at 5GHz and 600Mbps for 2.4GHz. It’s a dual band router, to ensure your speeds are faster and have less interference, combined with six internal antennas to guarantee your signals are strong. The QoS technology lets it determine network priorities. It even supports IPv6 and offers WPS one button security and WPA/WPA2 encryption. Everything you expect from a router is right here. Even better, the Kasda 11AC 1900M router isn’t just for business. 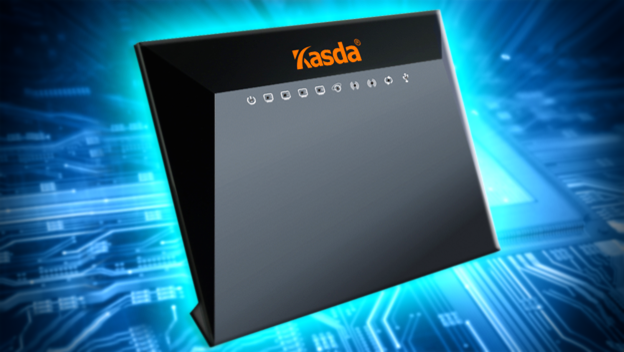 Kasda has been expanding into the general consumer market, and this router shows it. It was designed with gaming and multimedia streaming in the home in mind, to hopefully provide up to three times faster speeds than you’re used to. In fact, it even has Gigabit Ethernet ports, with one for internet access and an additional four ports for wired LAN connection, so you can be guaranteed optimal gaming and streaming performances. This is about having speed and reliability in your home, no matter what size it is. I mean, let’s be realistic. When Sony mentions its Share Play or PlayStation Now requirements, it almost seems like it expects you to have your PlayStation 4 or computer right next to your router. Sometimes, that isn’t possible. Depending on where the cable lines are, it could be in an office or even the kitchen. The Kasda 11AC 1900M’s coverage and capabilities keep that from being a problem. With its antenna and technology, you’ll be able to have a great connection on any console or computer you own, regardless of your position in the house. Where the Kasda 11AC 1900M router really shines is the price. When you consider what a good, equivalent router is going to cost, it’ll probably be over $100. If you go with Netgear, which is pretty much the standard router brand many people like to push, it could be $100 for something basic and almost $130 for something that’s exactly what Kasda is providing. This router will come in at under $100. Which, when you figure you’ll have it for two or three years, maybe more, is rather affordable. It’s certainly better than going for one cheap Belkin router after another, perhaps even every year! When you’re playing games online, you don’t want to have to worry about the details. You just want to hop on and know everything is working. When you have a Kasda 11AC 1900M dual-band wireless router, you have that kind of assurance. It’s strong, offers great speeds, and will keep you connected when it matters. It’s difficult to beat that! Plug it in, set it up, decide if you want to have your console or computer plugged in as you play or make good use of that wireless, and you’re set. A secure, safe gaming session awaits!